This offer is only valid in advance on the weekends and day of for Monday through Friday. This is at a reduced price because these lessons will be performed by High School Athletes. They have all been through the BVSA training curriculum and are excited to work with young athletes. We built this to be a more affordable option to receive one on one instruction. 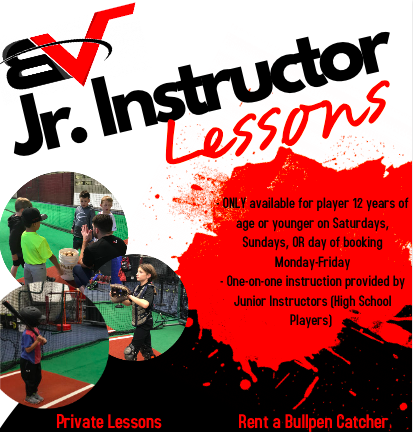 This offering is for any athlete 12 years old or younger.